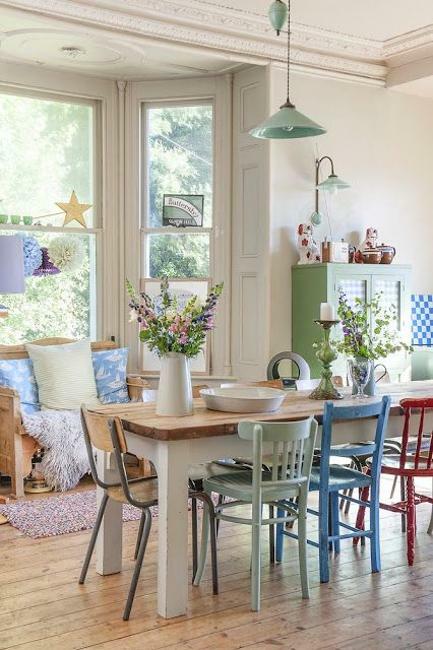 Modern interior design and decorating in vintage style are one of the latest trends that creates beautiful living spaces while exploring various themes and bringing a fusion of styles into stylish homes. 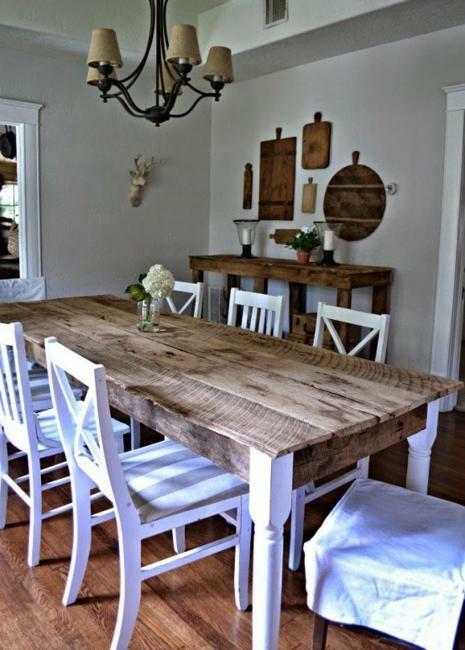 Lushome shares a collection of modern ideas for dining room design and decorating with vintage furniture and rustic wood that allows to blend what you have at home into fabulous places for special family events and everyday dinners. 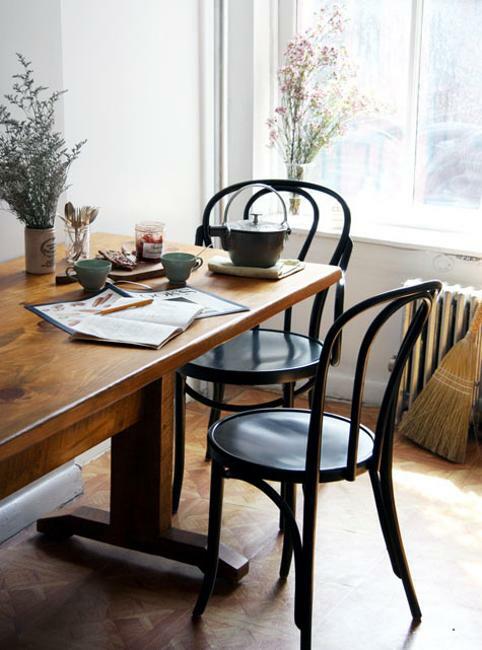 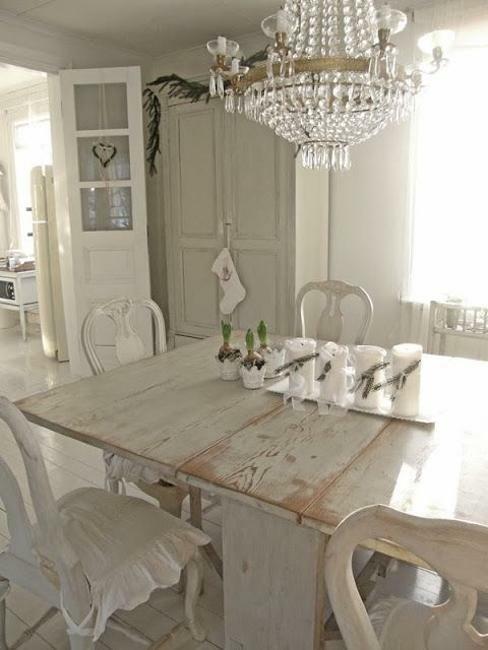 Vintage furniture for dining rooms are simply beautiful. 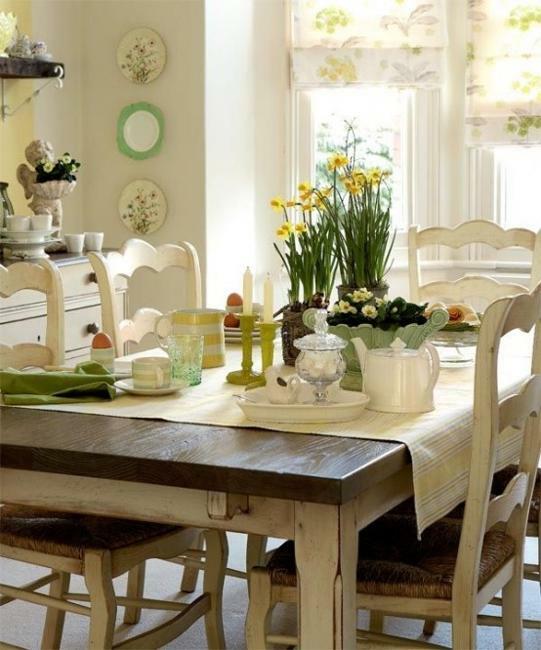 Choose the period you like and use these inspirations for your dining room decorating with vintage furniture items, classic dinnerware and modern accents. 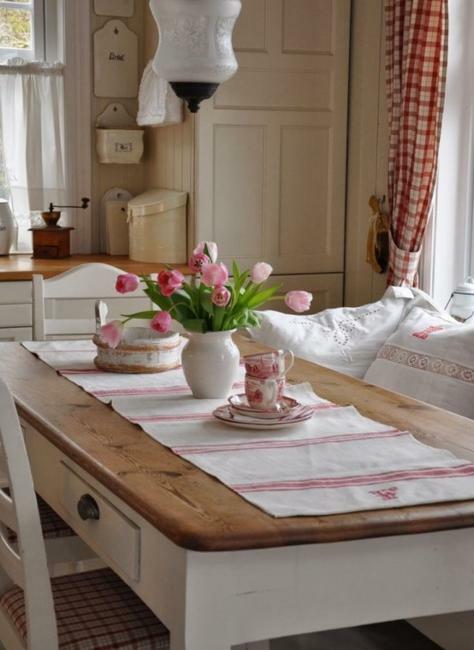 Whitewashed or natural wood floors, white window curtains, plain or floral fabrics, classy stripes and natural materials are great ideas for dining room design and decorating in vintage style. 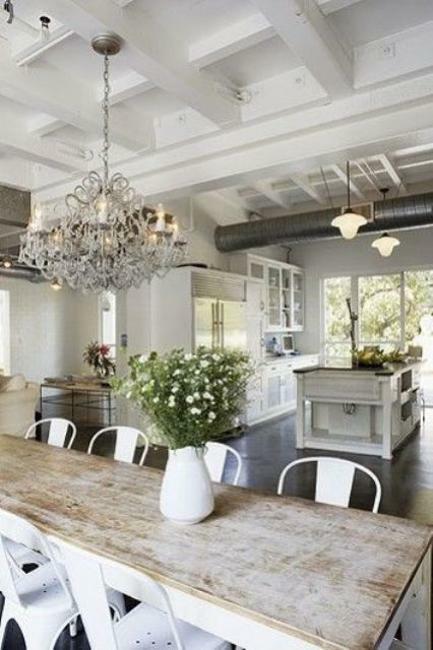 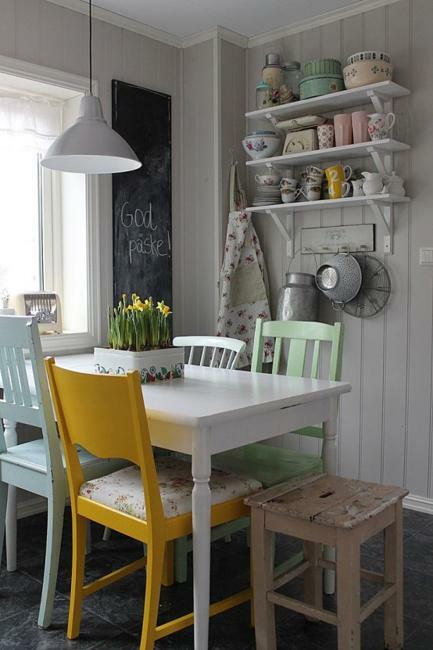 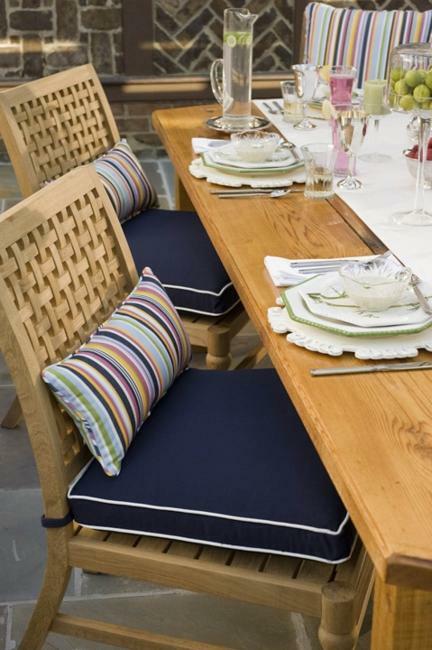 White painted wooden furniture or rustic wood tops add vintage feel to dining furniture pieces. 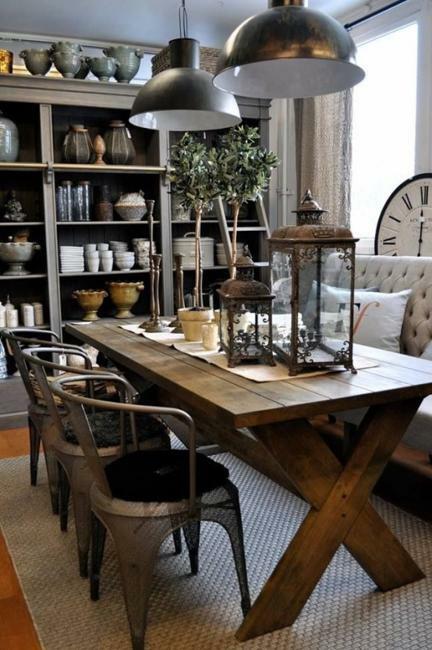 Home fabrics in light neutral colors, vintage chandeliers, candelabras and comfortable chairs in vintage style may be mixed with a few modern home furnishings, especially in retro styles. 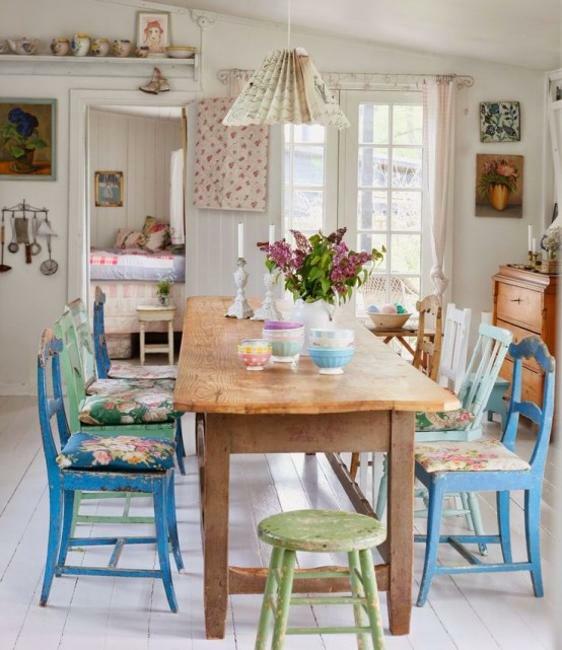 If you like Art Deco decor, French Boho, country home decorating, shabby chic decorating in French or Scandinavian styles or cottage decor ideas, vintage furniture and accessories in vintage style from flea markets are perfect home furnishings for your dining room design. 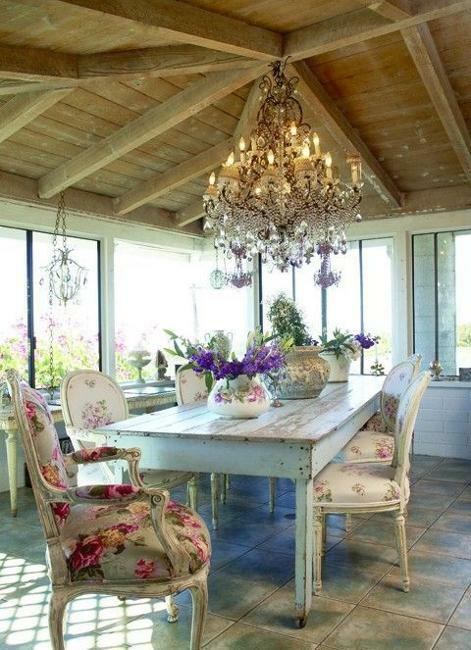 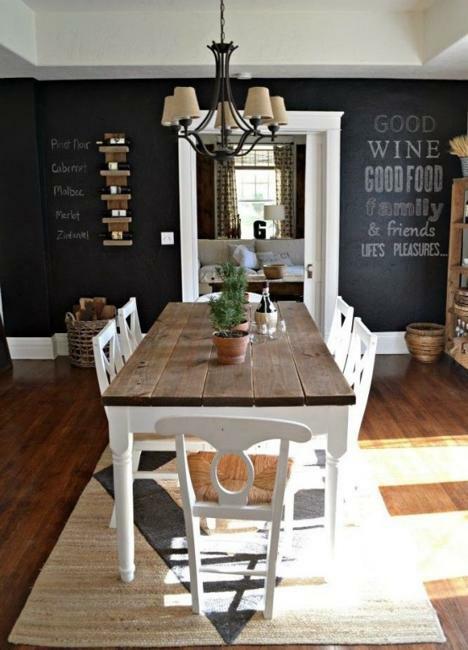 A rustic touch gives an amazing look to dining room design and decorating in vintage style. 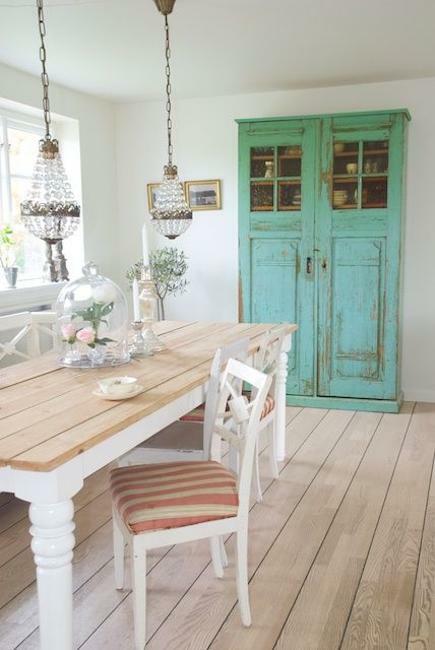 Rustic furniture pieces, rustic wood top table or old wooden chairs, mixed with other furniture items in retro styles look interesting and elegant. 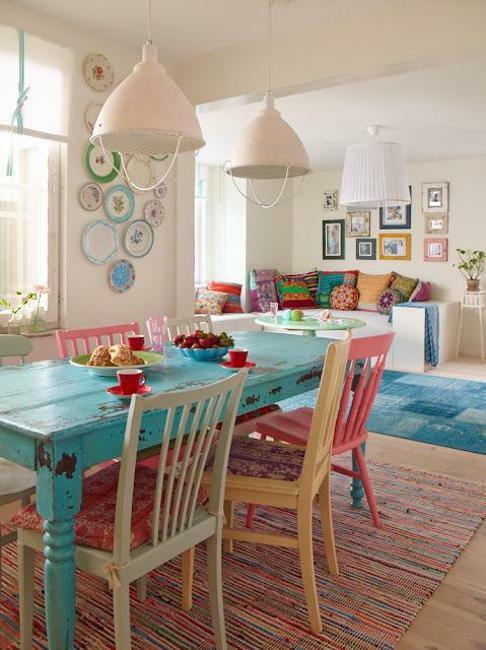 Modern dining room design and decorating in vintage style allows to use a fusion of styles and give an exciting eclectic touch to home interiors. 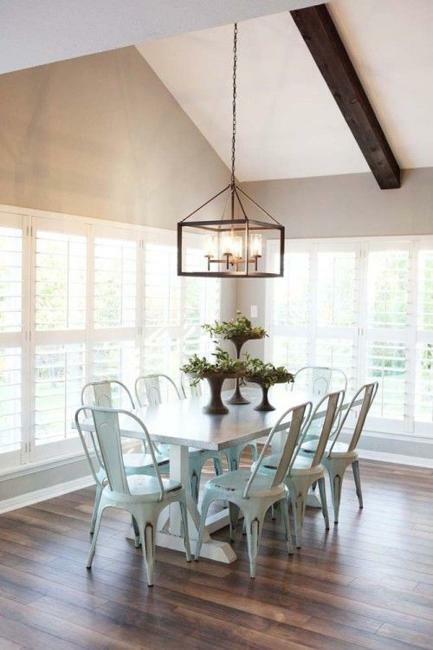 Mixing existing dining furniture with home furnishings in vintage style is a great way to personalize dining room design and decorating, create truly unique homes which make a statement. 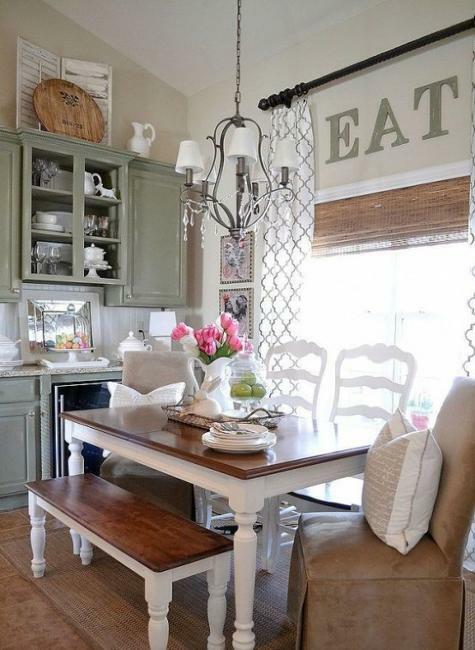 Dining room design and decorating in vintage style can be beautifully accentuated by adding a crystal chandelier, candelabras, classic white dinnerware and silver accents. 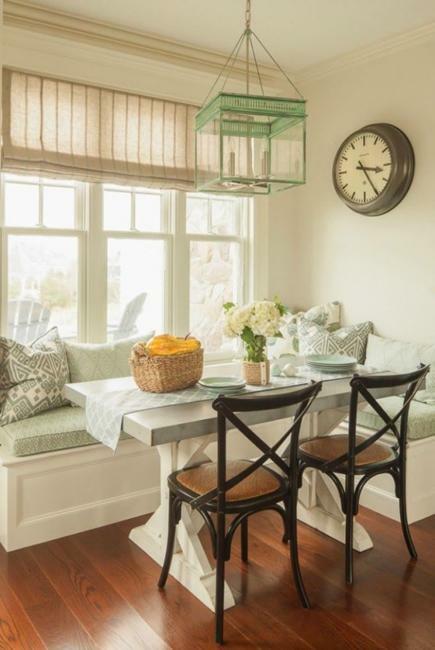 Bright details, floral designs or classy striped fabrics bring energy and harmonize vintage style decorating in neutral colors. 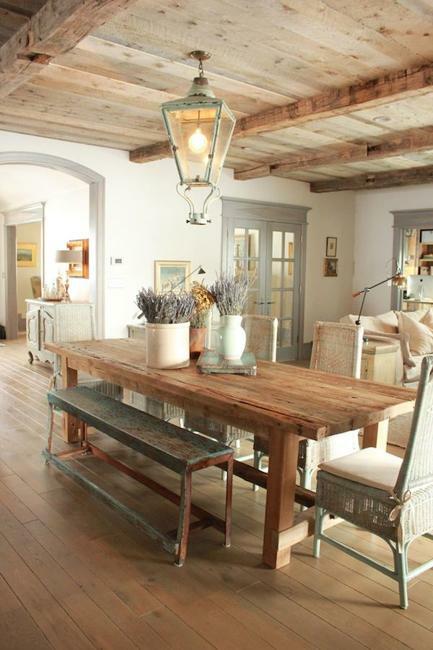 Natural wood colors and rustic wood textures create spectacular contrasts with fabrics and painted surfaces and make dining room design appear relaxed, pleasantly nostalgic and interesting.